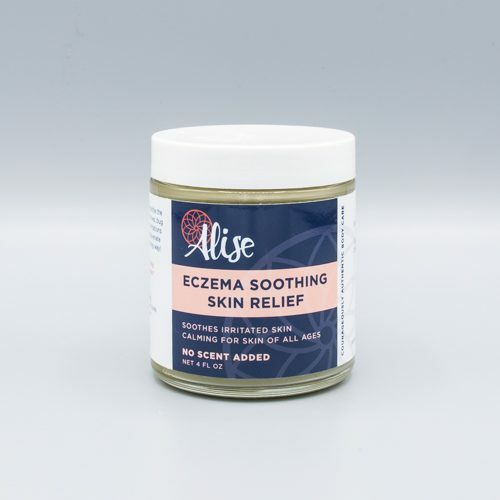 The Eczema Soothing Skin Relief is a moisturizing herbal salve which soothes the symptoms of eczema, psoriasis, hives, bug bites and stings, and other skin irritations. This salve, like our other herbal salves, combines a variety of healing herbs in an infusion of cold-pressed extra virgin olive oil. The Eczema Soothing Skin Relief salve adds nutrients to renew and rejuvenate skin of all ages–from infants to grandparents–and is safe to use around sensitive areas like the eyes. The Eczema Soothing Skin Relief salve has no scent added. 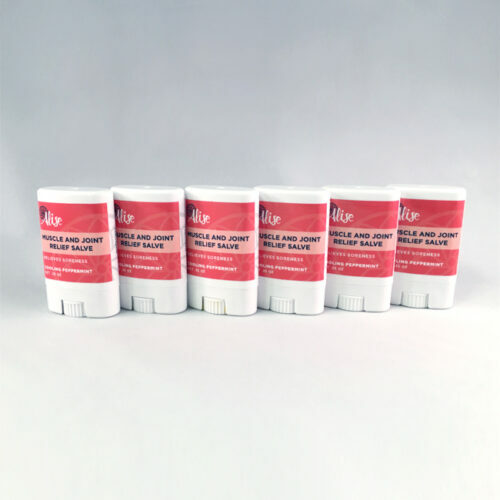 It is available in a travel size rub-on, a 2 ounce rub-on, a 4 ounce jar, and an economical 8 ounce jar. Shelf life is 3 years once opened. 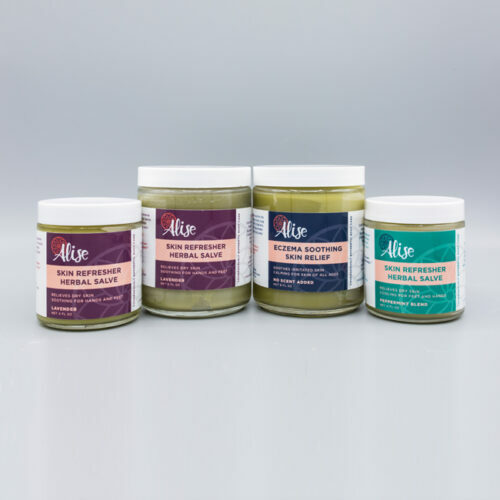 The salve can be used as often as needed for relief, and a little goes a long way in creating healthy skin. The Eczema Soothing Skin Relief salve is one of our best sellers because it truly works. After trying it, many of our customers shared their experience of finally finding relief for skin irritations of all kinds, including wounds, pesky bug bites, and new tattoos.